During the year 2014, much has happened throughout the world!. Fill the SKILLs form to be recuited as an active volunteer on life-changing projects! There are currently a potentially very many testable means by which we may extend human lifespan. The goal is therefore to test a wide variety of treatments in mice as a first step. Aging genes ontology of invertebrates project was initiated (and is in active development now) by Alexey Moskalev, Dmitry Borisoblebsky and Anton Kulaga. ILA activist attended a number of events to promote longevity research by presenting in front of the decision makers. 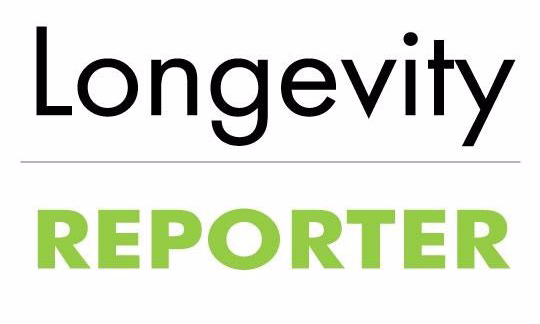 Longevity Reporter aims to be the premier source for news and views on longevity research. Presenting the news in a straightforward, unbiased, hype-free, and scientifically accurate manner. 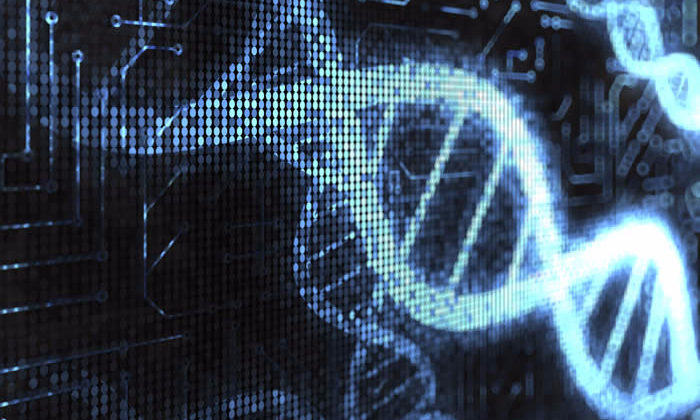 BioTrove Podcasts reached out to the average public with an informative podcast about what is happening in longevity biotechnology and the future of artificial intelligence. 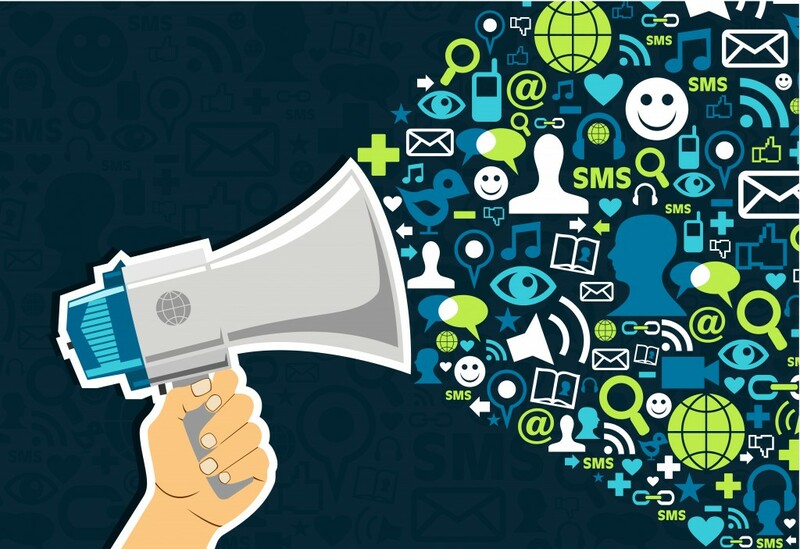 The "LightSpan" campaign aims to spread awareness among the general public about life extending technologies development and the opportunities that they bring to the society. During the three days of this symposium, many researchers and some activists presented speeches.TheEurosymposium adopted a "Resolution to expand biomedical research into preventive medicine for the eldery". 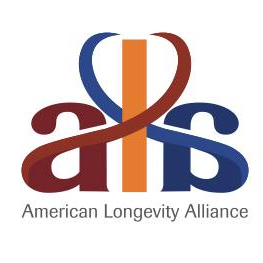 The International Longevity Alliance was successfully registered as an endowment fund in France, which is expected to provide significant tax deduction for potential donors. The ILA plans to develop as the non-profit federation of organizations and individuals from various countries. in real life in Brussels each month. other common activities, and give interviews in newspapers and other media. After 5 monthly meetings, the team has physically met every Thursday evening since the Summer at La Paillasse (http://lapaillasse.org). Some key members of the team at La Paillasse. - We have created visit cards. - We were making slides and coordinating many sub-actions. Longevity activists from Ukraine, UK, Spain and Russia. Didier Coeurnelle from Belgium was very active in France. He was notably a speaker during a conference of World Life Science Forum Biovision in Lyon on 5 and 6 of June 2014 (in French) to support the French longevity community. 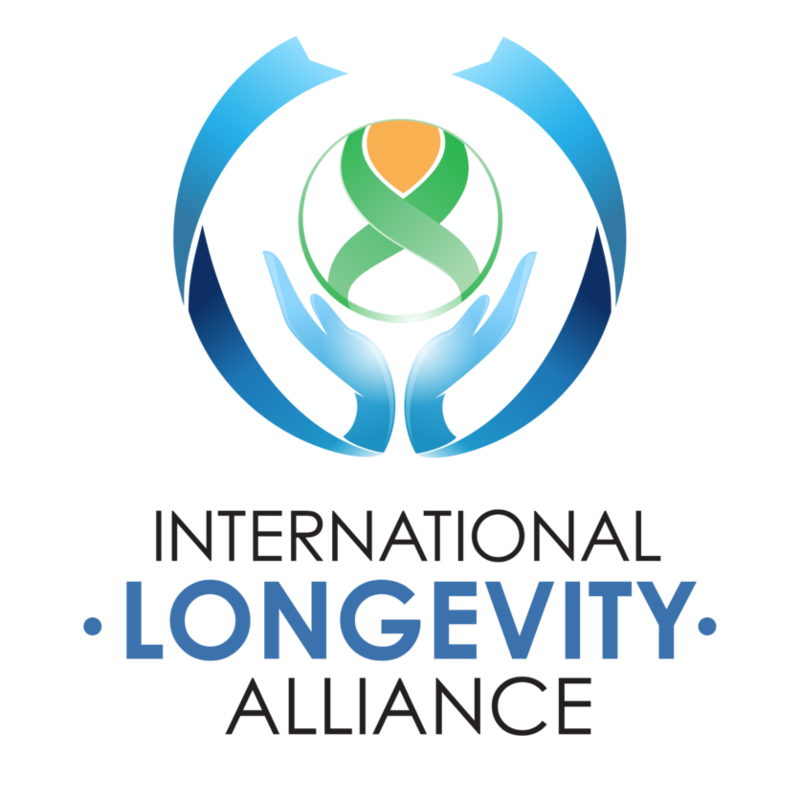 The Russian group of the International Longevity Alliance was mostly focused on lobbying the development of life extending technologies in Russia, as well as supporting local scientific longevity projects, educational events and mass-media activities. The Russian group has established the website www.ilarussia.ru (in Russian) to spread the information about the ILA in Russia. In May and June Elena Milova took part in editing the new book of Alexey Moskalev “120 years is just the beginning. 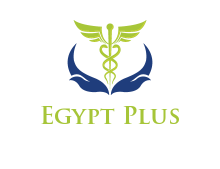 How to defeat aging?”. The publisher wanted to make the text more understandable for the general public, and Elena rewrote the whole book to fit the demand. The book was published in October 2014, and became a bestseller in the biggest Russian bookstores for several weeks. The publisher was so impressed by the fact that the whole edition was sold in three weeks, that they decided to have a second print in January 2015. Now the book can be bought again both in paper and digital forms. The local life extension community is happy to use it as an educational and advocacy instrument. In June Daria Khaltourina attended the 12th International Federation on Ageing Global Conference, Hyderabad, India, where she emphasised the need to support biomedical research and development of life extending drugs and therapies during the round table “The Ageing Process as the Main Underlying Cause of Non-Communicable Diseases: Science and Policy / Biology of ageing” where Dr Ilia Stambler was the Chair. On August 29th, the Russian Group organized a discussion meeting “Development of longevity technologies in Russia” with participation of famous demographers and aging researchers Leonid and Natalia Gavrilov and the Alliance partners from the team of Alex Zhavoronkov - the Foundation for the support of the advanced biotechnologies. At the end of the meeting the supporters and volunteers of the Alliance chatted freely and established new contacts. The meeting was organized on the basis of ANCS Press-center. In September Daria and Elena organized a round table in the press-center of Komsomolskaya Pravda publishing house. The round table was attended by the politician Sergey Markov, several famous specialists in the domain of gerontology, geriatrics (Vyatcheslav Krutko, director of the National Gerontology Center, Olga Tkacheva, Deputy Director for Research and Clinical Work of State Research Center for Preventive Medicine of Russian Federation, Igor Artiukhov, Chair specialist of the Institute of Aging Biology) and innovative biomedical technologies (Alexey Sitnikov, Vice President for Management and Development of the Skolkovo Institute of Science and Technology). In November Daria Khaltourina took part in the Forum "World of active longevity - 2014" organized by the State Duma Committee on Health, supported by relevant ministries and agencies, presenting the report "Geroprotective technology as a new priority of the state policy in the field of healthy longevity". The activist from the Russian Group Igor Trapeznikov also took part in the expert meeting on demography and family policy of the social movement All-Russia People’s Front, presenting the report about the dangers of aging population and the perspectives of massive aging prevention by the available geroprotectors. The meeting was attended by high-level representatives of the Ministry of Labour and Social Development. 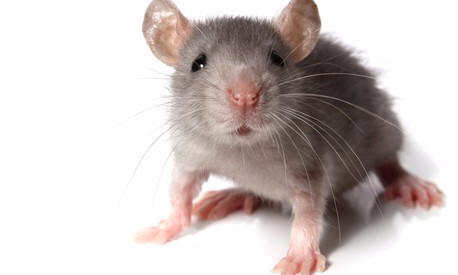 In December 2014, Russian activists organized a small fundraising campaign and have bought mice for the Institute of Toxicology in Saint-Petersbourg, where the testing of a complex of several geroprotectors is going to be started in 2015. Several do-it-yourself-biology lab trainings were organized by Anton Kulaga and his team together with Epigenetics and immunology laboratories of Kyiv Gerontology Institute. Volunteers also assisted in some lifespan tests. Genome assembly and gene expressions analysis from lifespan test on flies. Participation in several conferences and TV shows talking about DIY bio and aging research. Ukraine mice tests are going on! We are intending to organize some conferences around Italy, and in particular one at the University La Sapienza Rome where we will talk about the Mouse Testing. We will complete the translation of the Book Aubrey De Grey, and we are getting connections with Professor and Medical Doctors who may help our cause. Please note that even though this paragraph is short, it is very important : we need more active volunteers, with strong skills, to increase the chance and pace to change human lifespan and healthspan, for better. This project has brought many organisations together. It was initiated between key people from GRG, LongeCity, Heales, the Longevity Party, the International Longevity Alliance and especially Longévité Santé. A boost was given when in May 2014 the board of the Longevity Party proposed to help the board of the ILA fund the project. Later the various associations helped formulate and present the project to scientists, especially GRG. The French branch, Longévité & Santé, lead the project and tried to promote it throughout ILA and science communities more generally. The project can be decribed as follows: there are currently a potentially very many testable means by which we may extend human lifespan. The goal is therefore to test a wide variety of treatments in mice as a first step. These tests will run in parallel rather than consecutively, and will concentrate on ways that can be transposed to humans, in order to reach human life extension within a few years. The project was truly presented for the first time to many scientists (not just by emails and online meetings) at EHA2014. After contacting many labs, a core team with 3 labs with top conditions for mouse lifespan tests and regenerative techniques were established: the labs of Arlan Richardson (USA), Alexandra Stolzing (UK/USA), Jean-Marc Lemaitre (France). To the many scientists who aresupporting the campaign - thank you; and also to the many volunteers who are helping - thank you!. If you click on the link, you will see that it is already possibly to donate for the project -- if you are in contact with a foundation, do not hesitate to ask them if they would like to help the project see the light of the day! 1. 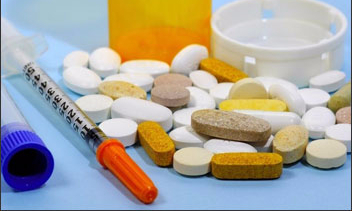 The first tested combinations of drugs actually shortened lifespan! The drugs were given in the food, at doses that had been reported to extend lifespan... when taken individually. As people are already given that combination of medicines so we hoped that the drug interaction would not be too damaging, and we had wondered if some lifespan synergy within some of these drugs could lead to an overall high lifespan (eg if the different drugs improve different functions). But we observed a lifespan reduction in males and in females. 2. Adaptations of the first combination of drugs actually extended lifespan! The results are to be analysed in greater details as we haven't analyzed the latest data yet. Also, whatever the refined analysis, we would already like to indicate that it would be good to reproduce the experiment in some other conditions, eg hybrid mice; in particular as the mortality rates of these mice was higher than the first series (but in a consistent way that supports the life extending effect). After many difficulties in setting the experiment (cross-border transportation in current geopolitical times, checking absorption in mice/ detecting C60/correct source of C60, administration tried in food and replaced by gavage, training for gavage and various measures) we have transposed the popular lifespan test with c60 fullerenes reported in rats by Baati et al. to mice (CBA strain, common in the lab) and with more animals (N=17 per group). There are three groups (gavage of water, of olive oil, of C60 dissolved in olive oil), there are... a lot of health measures and a lot of gavage (at the beginnings of the experiment as administrations are first very frequent and then gradually less frequent). Given that the experiment starts with mid-aged animals, the results are expected for the beginning of 2016. Side note: we observed no lifespan effect when repeatedly injecting plasma from young mice to aged mice. We mention it here because it is the experiment that initiated the "I'm a little mouse" crowdfunding, and the article is now available online. 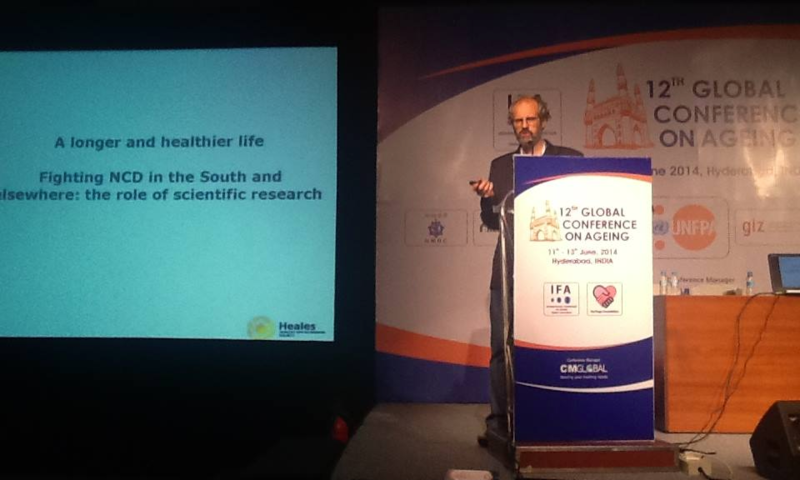 Didier Coeurnelle and Daria Khaltourina made presentations at the panel “Biology of Ageing” organized by Ilia Stambler at the at IFA 12th Global Conference on Ageing, Hyderabad, India, June 10-13, 2014 in front of the the officials of the relevant departments of the World Health Organizations and participated in the strategic discussion panel. The piece on biology of aging was included into the resolution of the conference as a result of the activities of the “Biology of Ageing” panel participants. Additionally, we reinforced to a number of the WHO officials the importance of the letter signed by over 200 researchers in biogerontology at the 3d International Conference on Genetics of Aging and Longevity in Sochi organized by the Science for Life Extension Foundation. As a result of the joint efforts the WHO replied positively to the letter! Heales (Edouard and Didier) participated in and networked at the 3rd Conference of the Summit of the European Innovation Partnership on Active and Healthy Ageing the 1st December 2014, Brussels. In 2014, Avi Roy (President, BGRF) and Liz Parrish (Founder BioTrove LLC, CEO BioViva USA Inc) founder the Longevity Reporter. Longevity Reporter aims to be the premier source for news and views on longevity research. The Longevity Reporter aspires to provide the news in a straightforward, unbiased, hype-free, and scientifically accurate manner. "Whole Brain Emulation" Guest Randal A. Koene, Ph.D. In October 2014, the ILA launched the information campaign "LightSpan", aimed to spread awareness among the general public about life extending technologies development and the opportunities that they bring to the society. The participants were lighting up a sparkler (Bengali candle) - a symbol of our short lifespan - and while it was lit, the participants stated why, in their opinion, it is necessary to support the development and implementation of geroprotective technologies. In the end, he/she invited friends to do the same. The resulting videos were put on Youtube and shared in the social networks. Many gerontologists, public persons and longevity activists took part in the campaign, including Aubrey de Grey and Adelaide Carpenter, Suresh Rattan, Alex Zhavoronkov, Joao Pedro Magalhaes, David Wood, Danila Medvedev, Valerija Pride, and of course the ILA board members. Most of the videos were taken at EHA-2014 (http://www.eha2014.org/). In 2014, Avi Roy (President, Biogerontology Research Foundation) and team launched the Big Data Science in Medicine Symposium series. They hosted two meetings one in September and the other in October. 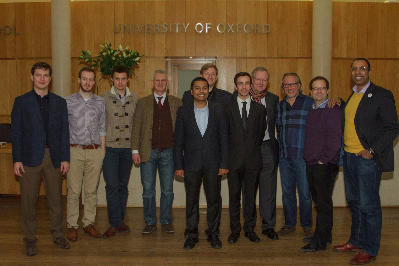 These events brought together leading lights from artificial intelligence, biomedical science and regenerative medicine for an evening of talks and discussion in Oxford with the ambition of accelerating research in preventive and regenerative medicine. The organizers envision that when cutting edge biomedical research meets state-of-the-art big data technologies, the extraordinary seems possible. At the forefront of scientific innovation is the recognition that the diseases of ageing are not inevitable facts of life; instead they are biological challenges with real solutions. It is widely recognised that prevention is better than a cure - this symposium series are an endorsement of that idea. During the three days of this symposium, many researchers and some activists presented speeches. The Eurosymposium adopted a "Resolution to expand biomedical research into preventive medicine for the eldery". You can listen to the resolution. ILA members participated in Transvision conference. October 1-3 2014. Aubrey de Grey made a speech "Demystifying visionary technology"
Council for Public Health and Demography, (CPHD) performed two round tables on promoting longevity research. The roundtable “How to Reverse Aging?” was organized in the Public Chamber of Russian Federation on the 30th of April. The roundtable was attended by the representatives of the Institute of Biogerontology, and produced the “Human System Aging Diagram” Project. The event received some media coverage. Another roundtable was performed at the national newspaper “Komsomolskaya pravda” on the 8th of September.